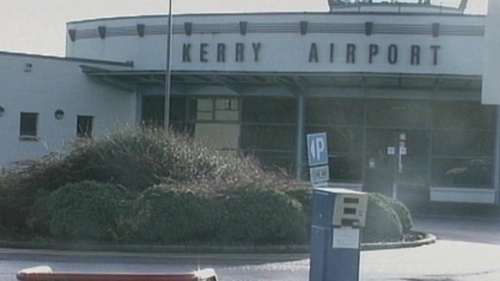 Kerry Airport is seeking 20 redundancies from its staff of 65. A statement from the airport said the lay-offs would be effective from 4 February, and talks on its plans were under way between staff representatives and management. Kerry Airport chairman Denis Cregan said the move was necessary to safeguard the business in the medium term and to protect the remaining jobs. He said the decision had been taken due to lower passenger numbers on the Dublin route and Ryanair's decision to end its current public service obligation (PSO) contract. Ryanair cut its daily Kerry to Dublin schedule from three return flights a day to one from 31 October last year. Kerry Airport has regular flights to and from London Stansted, London Luton, Frankfurt Hahn and Manchester, as well as the daily flights to and from Dublin.